Stream the Full Webinar Recording Now! During this webinar we demonstrated the utility of these supplements as serum reducers in research cell lines as well as in blood-free complete media formulations in stem cell systems. Fill in the form to view the recording of this webinar now! 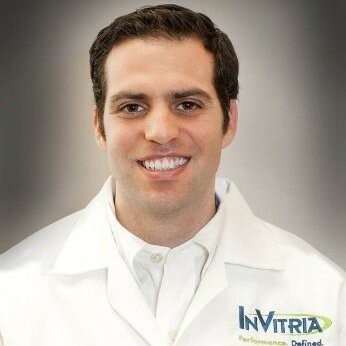 Dr. Alfano joined InVitria in 2012 and currently leads the product development team, where he utilizes his expertise in media design and optimization for biomanufacturing and stem/primary cells. Prior to joining the company, Dr. Alfano was the Process Development Manager for XBiotech in Austin, TX where he specialized in the development and optimization of the company’s cell culture processes in mammalian cells for cancer biologics. Previously, he was promoted from Postdoctoral Fellow to Senior Scientist at the Cancer Research Institute of Scott and White Hospital where he developed in vivo animal models for metastatic prostate cancer and was instrumental in developing thorough in vitro and in vivo models for immunostimulatory antigens. Dr. Alfano received his Ph.D. from Texas A&M Health Science Center College of Medicine.